28mm Victorian Warfare: A Year to Remember. Today of all days, the act of remembrance seems perhaps more poignant particularly as this year marks the centenary of the commencement of hostilities in the Great War of 1914. Like a good many myself and Mrs. Awdry made a point of travelling to London to experience the phenomena that was the 'Poppies at the Tower'. 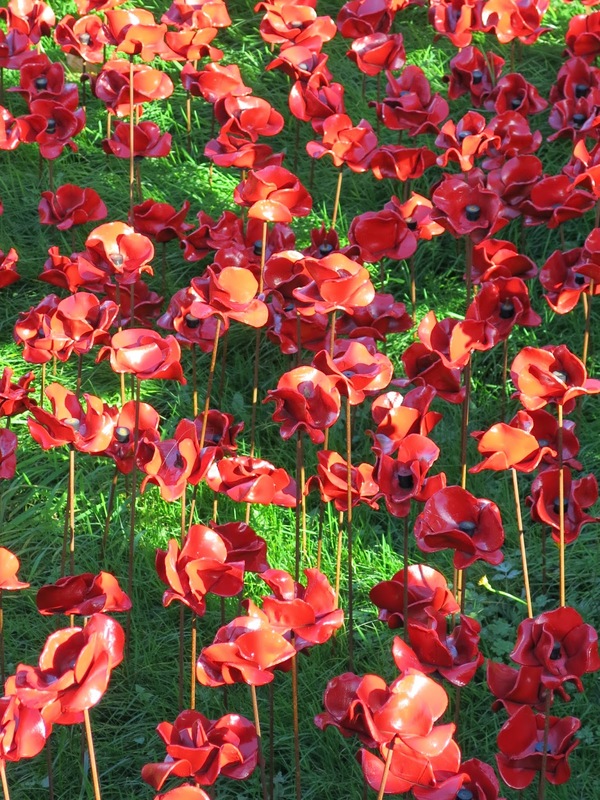 The 888,246 ceramic poppies, one for each British fatality in the First World War, form an evolving installation entitled, 'Blood Swept Lands and Seas of Red', marking the centenary of the outbreak of the First World War. Created by ceramic artist Paul Cummins, they were set by stage designer Tom Piper and progressively filled the Tower’s famous moat. I thought this to be a uniquely British concept and one that clearly caught the public's imagination with record breaking crowds swarming to see them before the scheduled dismantling of the installation on the 12th November; it is certainly something, I will long remember. An installation that is beautiful and depressing alike. The ceramic poppies is an awesome idea. Never forget! Amazing display. Just finished reading Regeneration, what those chaps went through should never have to be repeated. REMEMBER THEM WELL. I woukld have loved to have seenthis in person, I'm pleased you posted this. I do believe that the display is now on until the end of this month due to demand.. Yes, I found it most impressive too. What a beautiful memorial. Well done Michael. I've seem the famous Tower moat in person but seeing it full of red like this is... impressive. a great and well deserved tribute! Michael, here across the pond, they've stated that each poppy there represents All the Commonwealth troops that lost their lives during the First World War, not just British Troops, which makes it even more poignant. Princess Anne was in attendance at the Canadian War Memorial in Ottawa today. Fine post Michael, and a very fine message of Remembrance. It truly looks breathtakingly beautiful.